Congratulations to all our 2018 babies registered to our Bibles for Bubs programme. If you would be interested in any future programmes like Bibles for Bubs just fill in the form on this page. Bible Society Australia wants every Australian engaged with God's word - even from the very start of life! That is why we are giving 2500 children born in 2018 free special gifts through 'Bibles for Bubs'. 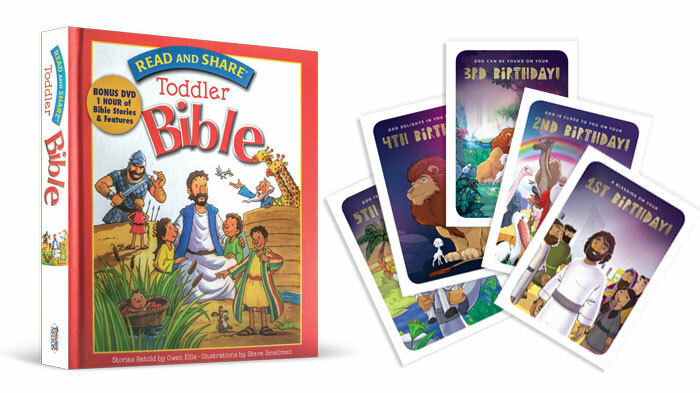 By signing up your baby to 'Bibles for bubs', your child will receive a Toddler Bible; then an annual Birthday card with suggestions to encourage their faith and family Bible reading. When they turn five years of age they will receive another beautiful gift, this time a CEV Big Rescue Bible! Offer may only be redeemed once per child. 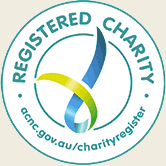 What will the registered child receive? Registered children will receive a Toddler Bible and a bookmark along with a letter, at commencement. Each year for 5 years, during their birthday month, they will receive a birthday card along with an insert for parents with ideas to encourage faith and family Bible reading. On their 5th birthday they will receive the gift of a CEV Big Rescue Bible to see them through their primary school years. How long will it take to receive the toddler Bible? The Toddler Bible will be posted out after Easter from 23 April 2019. Please allow up to 15 May 2019 for delivery as there will be 2,500 orders for our team to process. Once shipped, you will receive a dispatch notice from Koorong via the email you provided. Processing of each order will take 3-4 business days prior to shipping. Major cities should receive deliveries in 4-6 business days from the day of shipping. 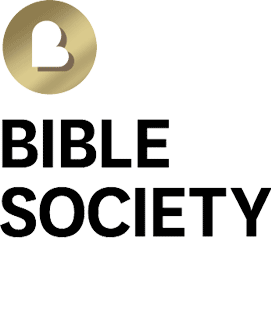 Yes, Bible Society Australia will cover the cost of the Bibles, birthday cards as well as postage and handling. Although, you could help us reach more people like you by making a donation to our work here. No sorry, we are unable to swap either the Toddler Bible or the CEV Big Rescue Bible for a different publication. I'm not the parent of the child, can I still apply? If you are not the parent or guardian of the child you are registering, you must have parental permission to do so. Each child’s parents must be fully aware of the campaign and give permission for an individual to register their baby. Each child’s address must be provided so that the gifts from Bible Society Australia can be sent directly to that child. What should I do if my address changes within the next 5 years? If your address or contact details change within the next 5 years just email your new details to [email protected] and we'll update our records.